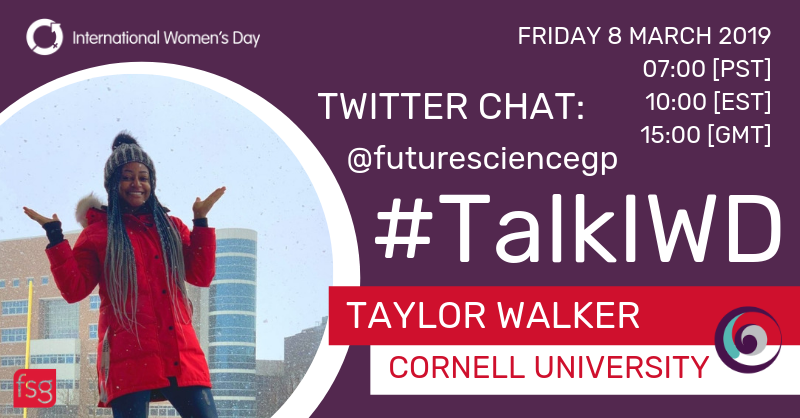 Learn more about Taylor Walker, Biomedical Engineering Master’s of Engineering candidate at Cornell University (NY, USA), ahead of Future Science Group's Twitter chat for International Women's Day 2019. March 8 marks International Women’s Day, an annual day calling for a more gender-balanced world. This year, we're asking our panel of experts on how we can #BalanceforBetter in our #TalkIWD Twitter Chat! This one-hour event will take place on 8 March at 3pm GMT/10am EST; hosted by the @futuresciencegp handle, we've brought together a fantastic panel of scientists from all stages of their careers to share their thoughts on gender equality in science. 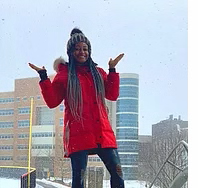 Taylor Walker is a Biomedical Engineering Master’s of Engineering candidate at Cornell University (NY, USA), focusing on drug delivery and cell & tissue engineering. Taylor’s research efforts promote health equity by identifying areas for intervention and analyzing sociocultural factors that impact health outcomes, particularly in mental health and genetic disease. She aims to utilize the human microbiome as a method of drug delivery that increases health access, and she will ultimately pursue an MD-PhD in search of applicable treatments. Join us on 8 March at 3pm GMT / 10am EST using #TalkIWD or by following @futuresciencegp. In addition to opinions from our panel we’d love to hear from you! If you would like to pose a question, or discuss your opinion, please let us know using the hashtag #TalkIWD. We’re excited to join the conversation around International Women’s Day and how we can #BalanceforBetter, so get involved!